I haven’t done a good minutiae post in a while, which I believe we all can agree is a bad thing. And by “we all,” of course I mean me and the four or five people who care about this sort of thing. Today’s topic is the tail lights on the 2007-2009 Toyota Camry. You know these tail lights well, because you’ve been stuck behind them, for hours on end, going the speed limit in the left lane of your major local interstate highways. 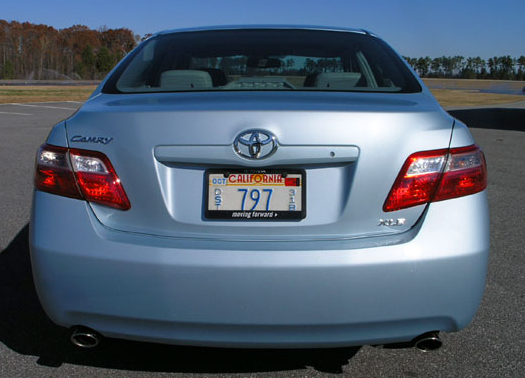 Toyota had three different powertrains for this Camry: a 2.4-liter 4-cylinder, a 268-hp V6, and a 4-cylinder hybrid. Interestingly, it also had two tail light designs. The design above was used on all non-hybrid Camry models. Meanwhile, the design below was used on all hybrids. Now, you might think these look pretty similar, and you’re right. But they have two crucial differences. 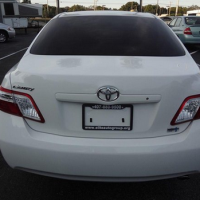 One is obvious: the piece on the trunk is clear on the Camry Hybrid, while it’s half red on the gasoline-powered cars. Note to Camry Hybrid buyers: if your car has red trunk tail light pieces, it’s had bodywork. 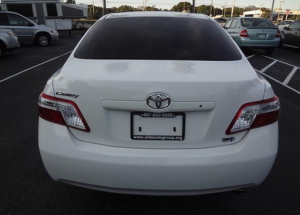 The other difference is less obvious: while the Camry Hybrid has LED brake lights, the standard Camry does not. I have no possible explanation for why the did this, especially because the turn signals in both cars are non-LED. Interestingly, most of these changes carried over when Toyota facelifted the Camry for the 2010 model year – but that’s a whoooole different article. The way led components are implemented by most car companies baffles me. Why have they not all just become LED? Why does BMW make halogens standard still, and Corollas get projectors for next to nothing? I thought later models of this generation – such as a 2011 – had LED’s on the XLE trim. They have the jewel look to them, only they look like the SE/CE with different illumination. Also, I was sitting for 10 seconds behind a Chevy Malibu (6th gen) 3 hours ago and it had its turn single on. The tail light that was signalling looked as if it was ‘pulsing’ such as a blood vessel does in all those biology shows, and it was mesmerizing. This is where ‘Minutiae of the Minute’ comes in as I was thinking to myself if i should take a quick video, but thought since you haven’t done one in a while, it sure as hell won’t be on tail lights. There were actually a couple more style tail lights if you consider that this body style lasted from 2006- early 2011. My Saab has the same treatment with respect to LED brake lights but incandescent turn signals. I thought it was some sort of bean counting, and it might be. But, brake lights are where you want people to have the fastest reactions too. Therefore, the instantaneous nature of the LED’s are beneficial for brake light application. For the turn signal, the pulsing that Alex mentions may be beneficial for some reason. I do find it more pleasing that the harsh on/off of LED turn signals. In Europe the same treatment is done to the small Toyota Yaris (Echo in the US ?) : clear LED stop brake lights on Hybrid models, non-LED for others. Remember the Kia Amanti? It had LED turn signals on the FRONT of the car, but regular old halogen/incandescent lamps everywhere else. Why? Agree that there are a couple more iterations for this particular model. One includes LED turn signals that are so small in the amount of actual (red) LEDs that it’s hard to identify the turn signals when the brake lights are on. Really dopey design for a car that touts a 5 star safety system or some such. Oh and don’t get me started on Toyotas in the left-hand lane. Corolla drivers are the worst offenders by far.